In town early for the conference? Want to enjoy a night out with fellow planners? 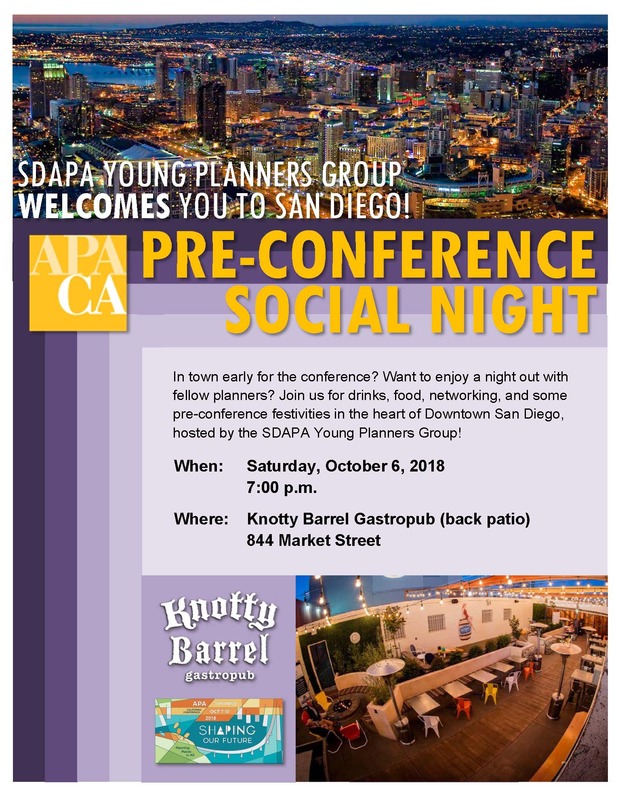 Join us for drinks, networking, and some pre-conference festivities in the heart of Downtown San Diego, hosted by the SDAPA Young Planners Group!